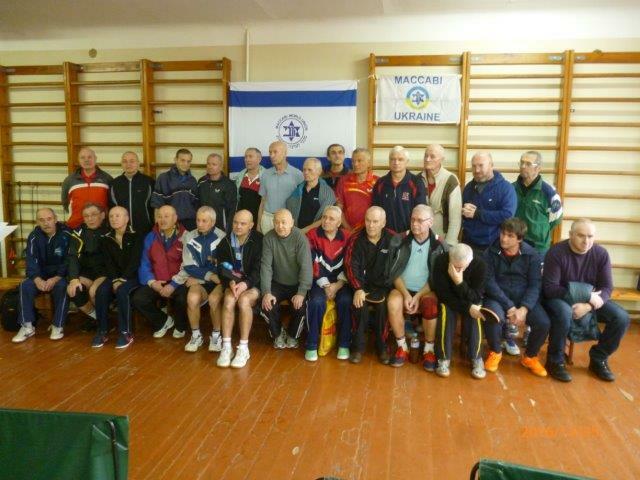 During Chanukah, December 25-26, 2016, Maccabi Kharkov , together with the regional federation of table tennis, with the support of the local offices of the JDC “Joint” and Maccabi Ukraine, organized and held the traditional Ukrainian table tennis tournament among masters. The competition was attended by more than 50 athletes aged from 40 to 82. The President of the Club, the honored coach of Ukraine L.Fatalevich, opened the tournament and spoke about the holiday traditions, the activities of Maccabi, and the life of the Jewish community in Kharkov. All winners in their age categories were awarded with diplomas and prizes. After the competition, participants watched a film about the history of the Maccabiah Games and got acquainted with the course of preparation of Maccabi Ukraine to the 20th Maccabiah Games, which will be held in Israel in July 2017.